A spectacular evergreen shrub, it produces impressive large serrated shiny green leaves which remain throughout the year. 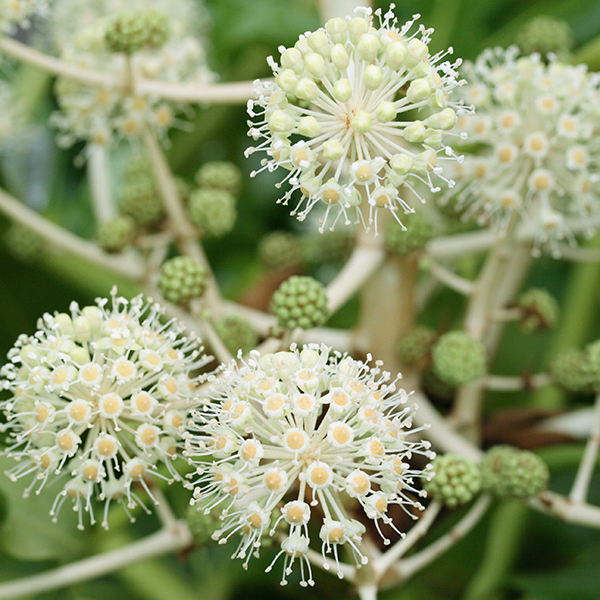 Mature plants will then go on to produce exotic umbels of creamy white flowers, followed by attractive purple berries. 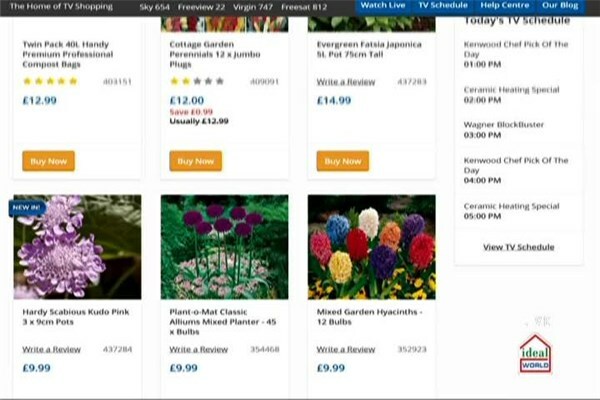 It will grow well in any garden and is a great plant for difficult shady areas where other plants struggle. It will thrive in the border and really needs very little attention to do well perform well so is ideal for easy gardening'. 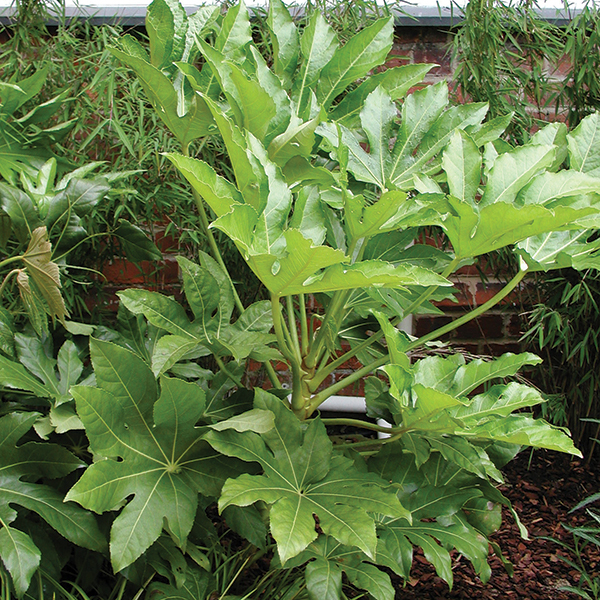 It's also a great plant for a large heavy pot on the patio. 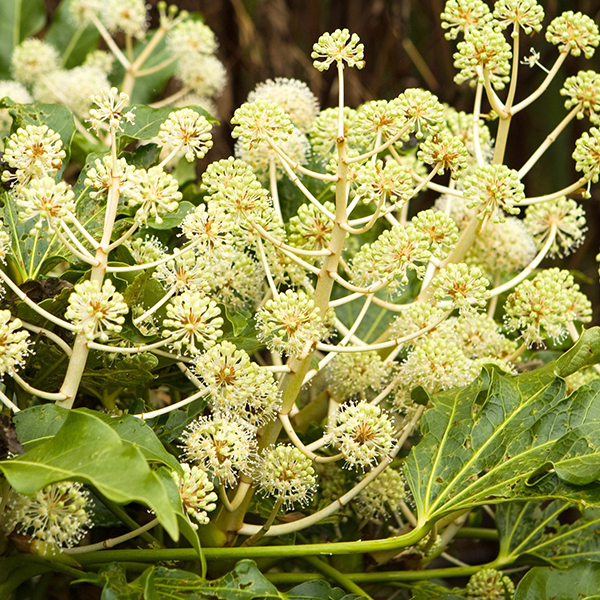 For a medium sized shrub that will bring evergreen colour to your garden, all year long, this fatsia japonica is just the ticket. Supplied as: approx. 75cm tall in a 5l pot, ready to plant out or repot.